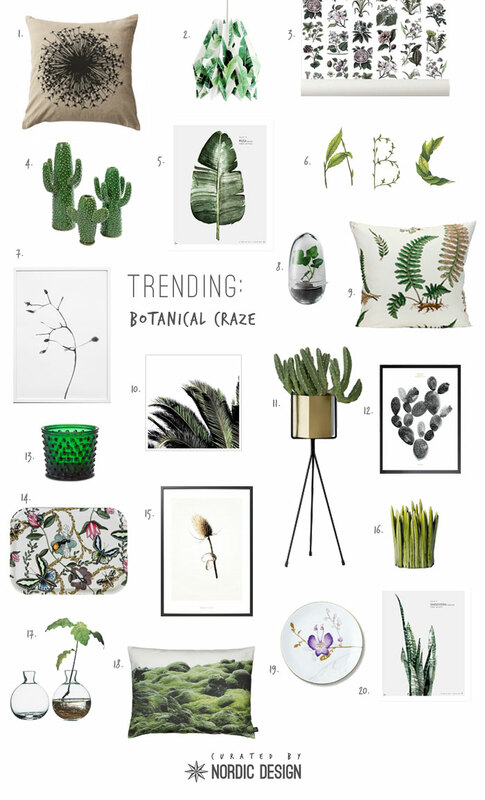 Vintage botanical prints, floral patterns and leafy greens have been very popular lately, and understandably so! Plant and nature inspired home ware are an easy and fresh way to bring nature inside. They look gorgeous when combined with rattan, wicker and bamboo, as well as earthy tones. I’ve selected twenty of my favourite accessories to create a crisp, clean and pure look, and your very own botanical garden within your home!